It seems to be time to have sequels of the movies. No matter if the movie got a huge success or moderate collection or even failed to reaching up to the desired collection target. Some of the sequels have simply name of the movie as the common thing between the installments, while others genuinely moves forward the story from the point the previous one is ended. Race falls in the later category. The story writers pens the tale by joining the dots with the previous installment. However there are a number of more characters added in the story. The canvas is wider and the styles are fantastic. There are people cheating each other and you will see a twist almost every 15 minutes. It is attention catcher and glamorized movie where the leading ladies try wearing the minimum they can and men try to provide them the competition. Of course the movie is for adults, but now a days the criteria of the movie are changed so significantly that we are used to see such stuff and won’t mind much. There are some dialogs which make it strictly for adults, especially the ones spoken by Ameesha Patel as Cherry – and joined in the conversation by Anil Kapoor – Robert D’Costa. Being one of the most promising face in the beginning of her career, Ameesha is having a down period, and her choice of this role shows how desperate she is to be on the silver screen and how few offers to such talented actress are offered. Seriously, the entire track of Anil-Ameesha could have been removed from the movie without affecting much to the story. John got the role of the antagonist after Dhoom on such big canvas and he play it with ease. In order to show his muscles, a fight with a huge fighter is also arranged. And people who love that kind of entertainment will enjoy it definitely. 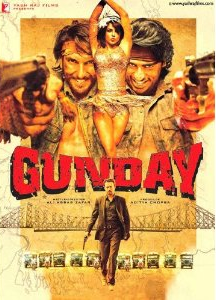 In the end however when Ranveer Sigh (played by Saif Ali Khan) gives him a tough fight. Jacqueline Fernandez is seen with heavy makeup. The songs are on high bit and it became popular too. A few songs are good for dancing environment. Though when watching the thriller, you may feel then sometimes song comes to disturb the flow of the movie. Deepika and Saif plays their role with ease and same we can say for Aditya Pancholi who had to do less. The story is having its ups and downs. The foreign locations are explored nicely. The church staff’s acting was not that convincing. The background music adds to the positives of the movie. Nowadays when watching movies, we see that millions of rupees are being discussed like a very small amount. Overall a movie with its own ups and downs, of course the thriller lovers will like it. Let us take a brief glimpse of the story of the movie. During the title sequence we see that a nice looking car was blasted by an assassin. Why and how this scene affect the movie can be known by watching the movie. There is a train robbed by some robbers by effective use of helicopter. The train was carrying the currency papers which were intended for the printing of Euros. As when discussing about currency, the currency papers play a really vial role in determining the fake or real currency. Hence, the currency papers are values really high. Ranveer Singh enters a casino with 5 million on cash and lost all them. Casino owner came and meet him to found that Ranveer simply to meet him. There is a game plan with him for the casino owner. Ranveer claimed that he was involved in the Robbery of the currency papers and he got started printing currency. The notes he have used in casino were in fact fake! Now the casinos are considered to have best machine to detect fake currency, even better than those being possessed by the banks! Ranveer offers him to provide fake notes in exchange of true notes of one third value of the fake notes. Casino owner borrows a large amount of money from Imran Malik and his sister for 15 days; for this deal. However his world moved upside down when he found that he was in a trap by Ranveer and he lost his all the casinos to Malik. Movie ahead we see if there is any connection between Ranveer and Malik. Why Ranveer did what he did with the casino owner? This and many other questions are answered in the course of the story. Our verdict: If you like thrillers, can digest some loopholes in story, like to see the glamorous and larger then the life stuff on the screen, watching the movie for pure entertainment and not against skin shows on the screen, you will like to watch the movie once, for sure.